Rustic modern living steps in the wilds. Thank you. My wife and I have never been so happy. We love your beautiful house and the amazing jungle that surrounds us. This has truly been an incredible trip. We will definitely come back. The service was perfect. The pool is better than sugar. We are happy. This place makes me want to dance. I hope you love this painting. I painted it with love !!! 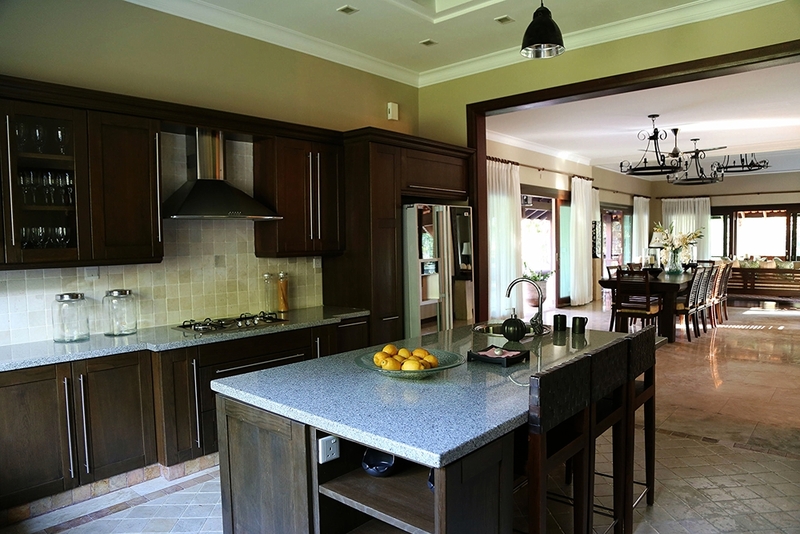 The main villa is magnificent to with huge master bedroom, spaciously second bedroom, fully functional dry and wet kitchen, swimming pool and much more. Host and staff of ‘balik kampung villa’ are very friendly and accommodating, early check in at noon (appointment in advance required). Found out the place much better than most holiday rental we used to stay. 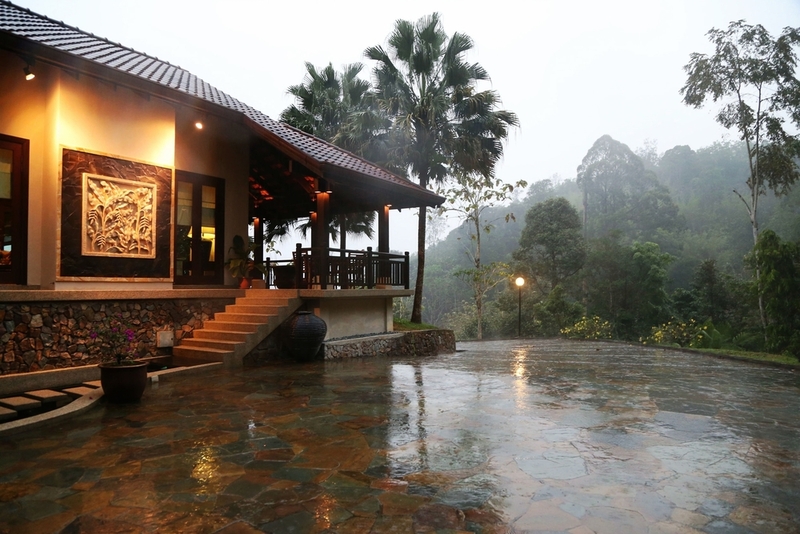 Balik Kampung Villa awaits you..
Balik Kampung Villa is tuck away in the secluded tropical forest only 30 minutes drive away from Kuala Lumpur (KL). Imagine sitting under the shade of a forest tree in the spring. Close your eyes and listen to music of exotic woodland birds. 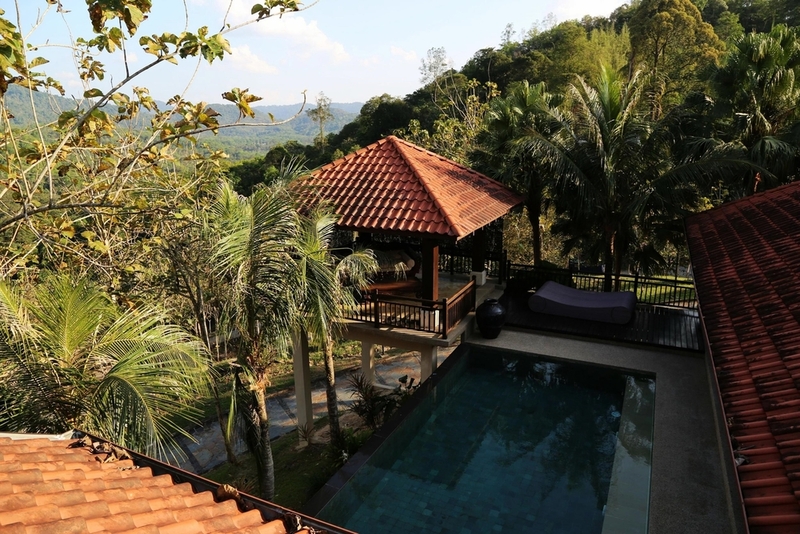 Nestled away in the tropical forests of Hulu Langat, this picturesque backdrop is the home to Balik Kampung Villa. 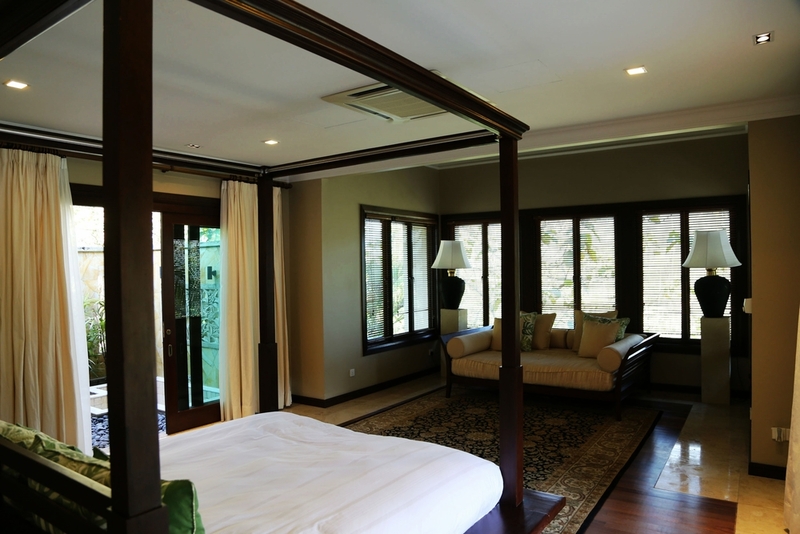 An authentic Balinese contemporary design of Villas, featured with a spacious bedroom, living room and a dining hall. Complete with a kitchen, a private pool and a Jacuzzi. Rest assured as our dedicated onsite staff take care of you. Growing up in Malaysia as a village boy, many dream of moving to a big city to become successful. Once they make it to the city and get caught up in the city life, a real zest for life can be lost. To reclaim that enjoyment for life, many would return home to learn how to appreciate the smallest and simplest things in life. This is what “Balik Kampung” means. 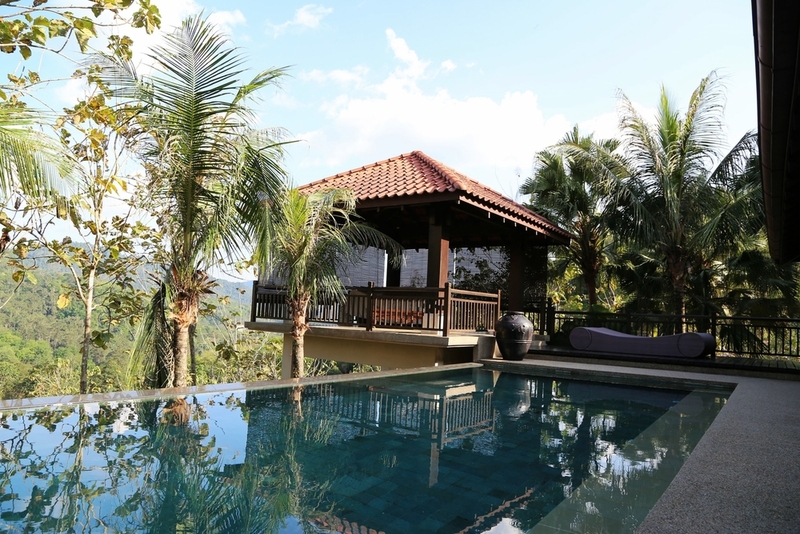 Hidden in the treetops of the forest, our spacious villas are furnished with plush queen sized beds, secluded private pools, and fully functional kitchen. 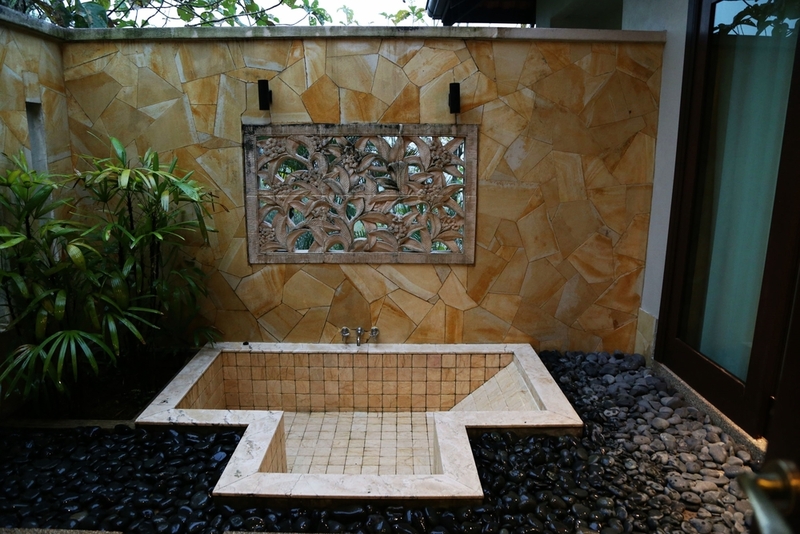 For a complete getaway, our villas are separated and designed for maximum privacy and peace. Enjoy Life. Enjoy Balik Kampung Villa. 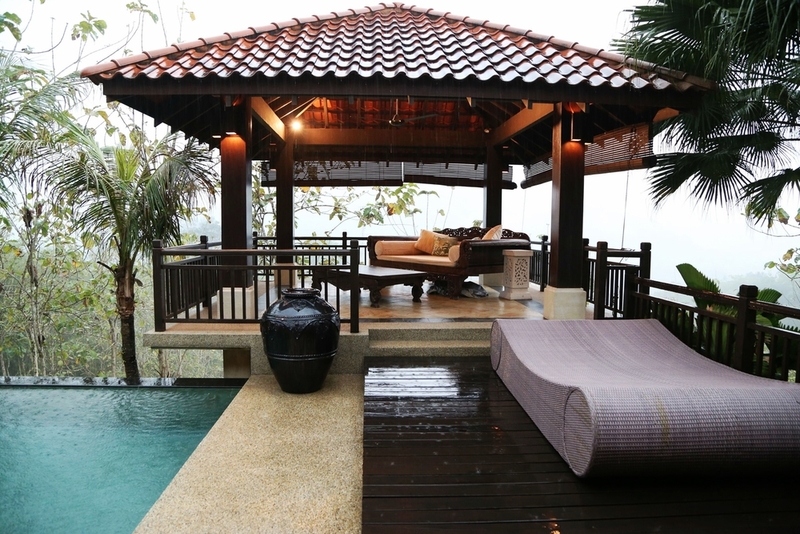 DURING YOUR STAY AT BALIK KAMPUNG VILLA, THE ADVENTURE STARTS FROM THE MOMENT YOU ARRIVE AND ONLY GETS BETTER. Imagine waking up to the sounds of tropical birds and panoramic sights of lush forests from your bedroom window as you embrace the day. From there, enjoy a refreshing jog or swim surrounded by nature’s beauty. If you want more activity, a cultural excursion awaits you in the nearest town, only 30 minutes away, where you can shop and immerse yourself in local culture. As the day winds down, brace yourself with a game of golf at one of Malaysias’ top golf course or pamper yourself with a relaxing massage at one of the signature spa in Kuala Lumpur. Finally, as the day comes to an end, enjoy dining in KL with an amazing view of the city lights. 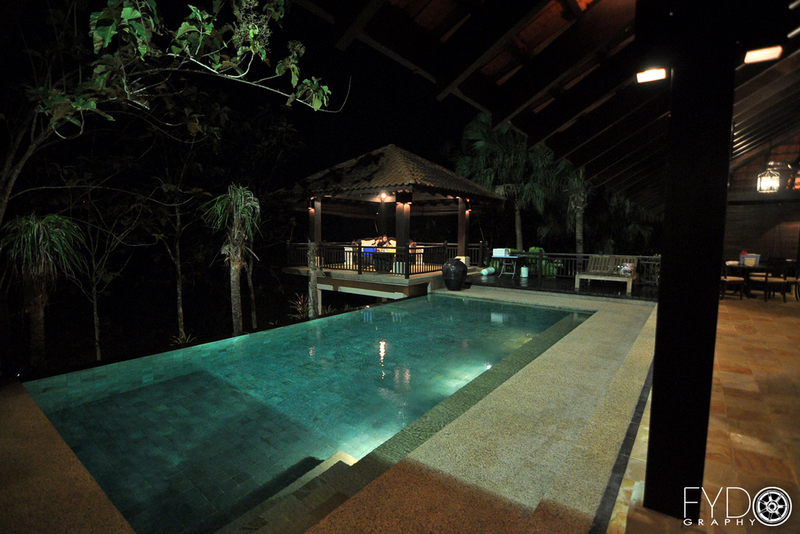 You can also choose to have a classic barbecue under the starry skies at the Villa. Malaysia is famous for it's multi cultural ethnic groups which resulted in diverse cuisine bursting with flavors. Be it local shops, hawker stalls or fine dining in KL overseeing the city lights, one thing for sure is that the food is so good. Caution: Please do not blame us if you end up getting fat. 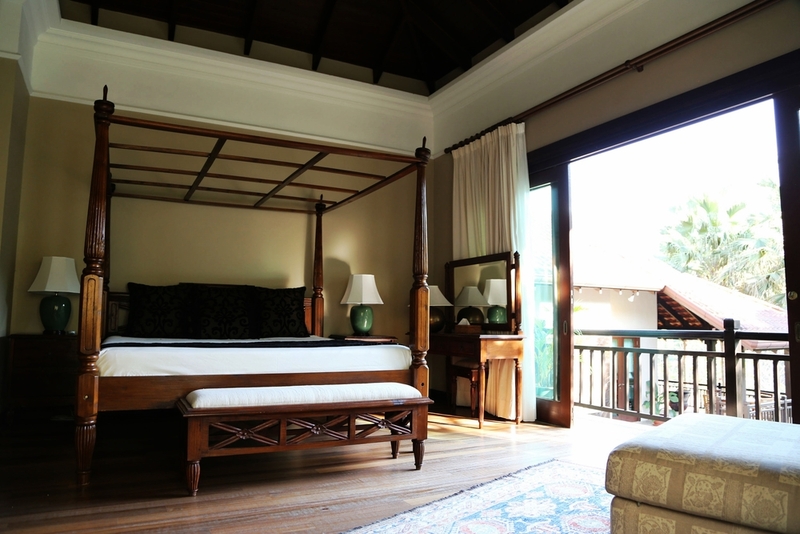 In Balik Kampung Villa, we provide queen sized beds that comfortably sleeps two. Feeling lazy to get your bed done? Please do not worry as our housekeeping will keep your room clean always. There are only two seasons in Malaysia, that is summer and rainy days but mostly summer. Choose from Malaysia's top golf course in KL Is there anything better than playing golf in a beautiful sunny day? That is right. We finally have WIFI at our place. Now, while your mind and body is fully disconnected from the world. You can still check up on current events right at your fingertips. It's a perfect time to do a barbecue under the starry sky. Barbecue equipment and utensils are provided so sit back and relax. Hulu Langat is the perfect place to hold your annual excursion, be it a family or a company retreat. Famous for its hiking at Gunung Nuang, the second hardest mountain compared to Kota Kinabalu. If you are looking for something more relaxing, look no further as there are waterfalls that you can visit in the vicinity. Be it Gabai waterfall or Sg. Congkak, tourist would have to trek through the jungle to reach the waterfalls. The trip is totally worth it! Subscribe to our mailing list to receive news and updates. Keep a look out for future promotions.